Attempting to find the right way to make your client's exterior design business project more eye-catching? Wishing to build a website for exterior designer?Or maybe you are putting up an online portfolio of your own to attract new clientele? In any case, inventing a professional-looking design for your online project might demand lots of time that can be dedicated to other important things. Try Moto CMS 3.0 - it is a real timesaver for working people! Any Exterior Design Responsive Moto CMS 3 Template has a built-in admin panel. There is no need to download it from a third-party Internet resource, check its conformity, separately upload it to your web hosting service and alter it to fit the chosen template. Everything is in the same archive: upload it to a chosen hosting service, activate the license and embark on improving its data. We are proud to announce that knowledgeable web developers have worked on the style of every product. Be certain, the best level of quality is provided! Moto CMS 3.0 admin panel was developed on the basis of a WYSiWYG-editor. The components can simply be modified by pressing on them and you immediately look at the actual result! Complimentary 24/7 lifetime support is offered for each and every item we supply. The skilled support squad is always on standby to help, making sure you enjoy the best user experience ever! 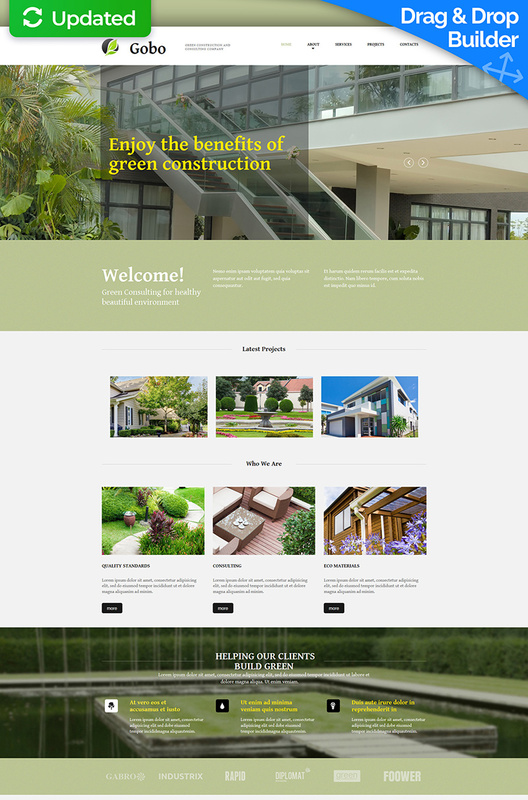 Use an Exterior Design Responsive Moto CMS 3 Theme - it was manufactured to make your venture cost-effective! So easy to use and edit! If you need help their support team is very helpful and fast at answering any question! I am a graphic designer and I help setup websites for customers. With this I am able to turn the template over to them to continue to edit it. Great template!